We applied online 6-7 weeks before we were scheduled to leave for Canada. 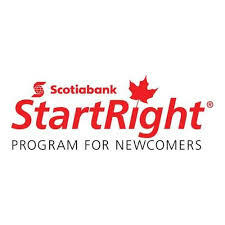 (To apply, go to the ScotiaBank StartRight Program site) The branch that we chose mailed us our “Welcome Package”, consisting of some brochures and also our account information. You have an option to either wire your money (up to CAD 50,000, one time only) or deposit it when you arrive at Canada. We opted to just get a CAD bank draft in BPI and deposit it when we arrive. (We were told by someone, I forgot who, that if you get a bank draft from BPI, it will only have 10 working days to clear, if other banks, it’ll take up to 45 days to clear). UPDATE: Checked our account online, the bank draft we deposited cleared on the same day. (BPI bank draft). We went to our branch of choice today (Richmond, 3rd Road) and we were assigned to talked to a Filipino (name is Roberto Gabriel, super friendly and helpful guy), we opened a savings account and a checking account. We were given free debit card and also a credit card (will be getting it via mail in a few days). Credit card is very important here in Canada, to have a good credit ranking and history, so I was happy that Scotia Bank gave us this option even though we are new immigrants. I like how Scotia Bank gave new immigrants the opportunity to have access to banking services that normally isn’t extended to people who don’t have “credit history”. And if all their employees are as helpful as Roberto, I would definitely stay with Scotia Bank. I just opened an account with Scotiabank online yesterday because I will be landing in Vancouver on May 31. But I did not receive a “Welcome Package”. Was this mailed by post or e-mailed to you? I’m still here in the Philippines. Thank you so much! P.S. 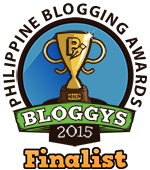 Your blog is soooo helpful especially for me who will be migrating to Vancouver soon!